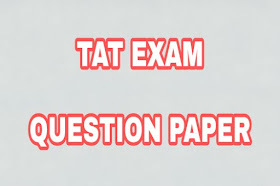 TAT Exam Questions papers 28-10-2018 - Are You Searching For TET/TAT/HTAT all Details & Previous Year Paper PDF (Gujarati)? 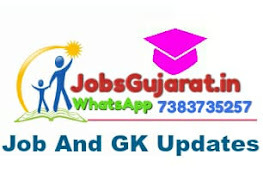 Here we’ve uploaded all type of TET/TAT/HTAT Questions papers all Details & Previous Year Paper PDF (Gujarati) in the Gujarati language. Previous Papers Of All Examinations Are Available On Our Site. We Update Previous Exam Papers Of Government Jobs And Entrance Examinations. Candidates Are Searching Previous Question Papers And Model Papers After Completion Of Application Process. We Provide All Sample Examination Papers. You Can Get Any Type Of Model Question Papers On Our Site. We Can Estimate Difficulty Level of Exam through Previous Question Papers. Here You Can Find Question Papers With Answers. In order to be a primary Teacher / Vidyasayayak and Higher Teacher / Vidyasayayak, different examinations are taken for the purpose of being a Teacher in primary school in standard 1 to 8, fixed by the government on 27 April 2011. For example 1 to 5 Elementary Teacher Eligibility Test-1 and 6 to 8 Elementary Teacher Eligibility Test-2 is taken. There is a systematic guide to TAT/TET/HTAT and if there is any place to get a material, it is Hirensir.com where you are able to get every kind of useful material. All above topics are actually part of syllabus for other competitive exams like GPSC, Panchayat board, Police bharti and others... but government has include some topics from education field so they can check candidate's teaching ability and other educational vision. Here we upload old Questions paper of TAT exam. This Exan taken in 2014. in some time State Examination Board going to take TAT Exam 2017. this papes are being most useful to you in upcoming TAT Exam.